The ensō Academy is a program dedicated to promoting Higher Hairstyling Education. The ensō team believes that true Art can only be passed on from Master to Student. ensō offers classes that replicate this Apprenticeship dynamic with the highest respect for each party. The ensō Academy is strictly open to professionals and professionals-to-be (students currently enrolled into a Hairstyling program). Each class is taught by an ensō Master Brand Ambassador or Head of Education, Amit Abraham, also Master Session Artist for L’Oréal Professional, and using exclusively ensō tools so you train with the best tools designed by your Masters. First experiences form you forever and this is why ensō believes in lending its tools to classes around the US so you experience the difference top of the line professional tools can give you and you can train at the highest of your creative potential. The program is held in ensō-approved facilities: either the Master Brand Ambassador’s Home Salon itself, or a Salon accredited by ensō, or a School approved to host ensō's programs. Every attendee leaves with a personalized “ensō Academy Certificate” signed by the ensō Master who trained him/her. As each class builds up on each other, and each Master offers his/her specific view and secrets of his Art, we encourage you to attend as many classes as possible. You will add stiches to your belt, names to your resume, and will enjoy great Peer interactions. As a result of your training with ensō, we are looking forward to welcoming you as a Brand Ambassador! 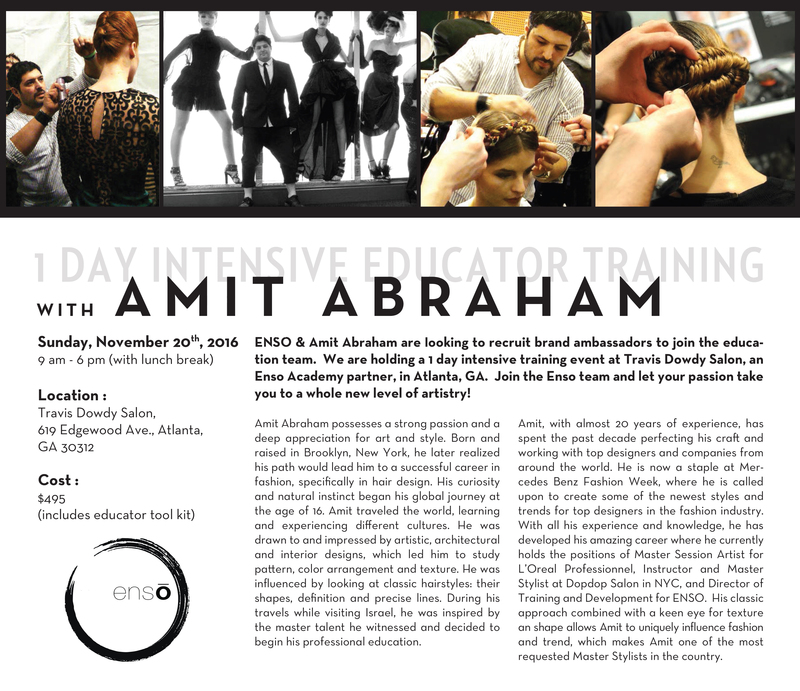 Discover the first ensō academy: 2-day intensive educator training with Amit Abraham at Travis Dowdy Salon in Atlanta on November 20, 2016. Announcement of the first ensō academy hosted by Travis Dowdy at Travis Dowdy Salon. 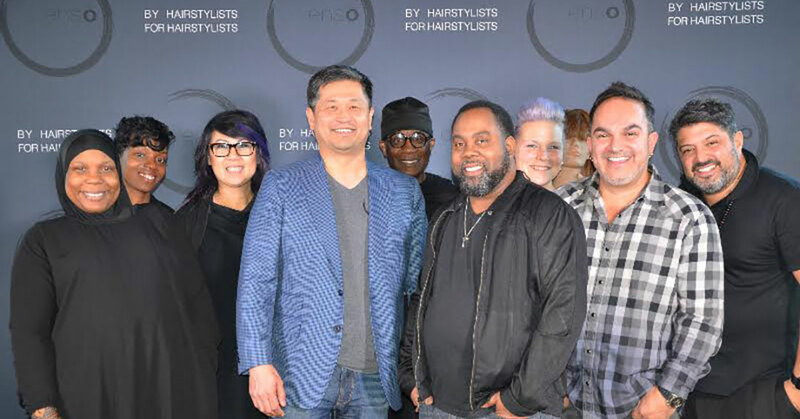 David Kim - Founder and President of ensō 4 Stylists with the hairstylists team! 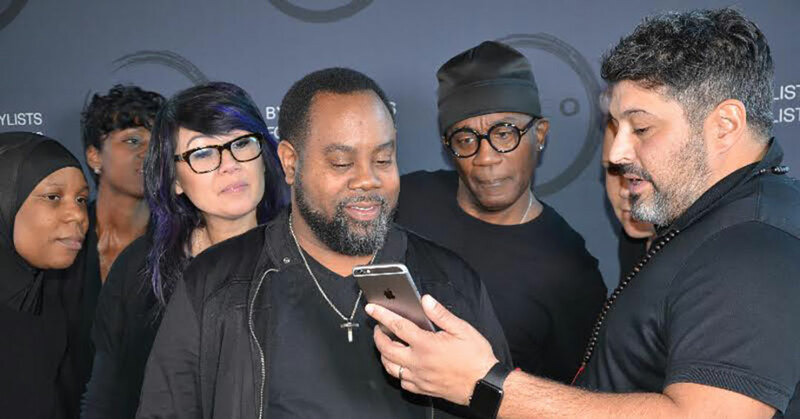 Amit Abraham – ensō Master Brand Ambassador with the hairstylists team!